A surprise release in Hong Kong today is this Ma Pak Leung liveried Scania K230UB. It features ASB20 (NV 8110) on route 2D to Chak On Estate and is limited to 300 pieces (CR188001). 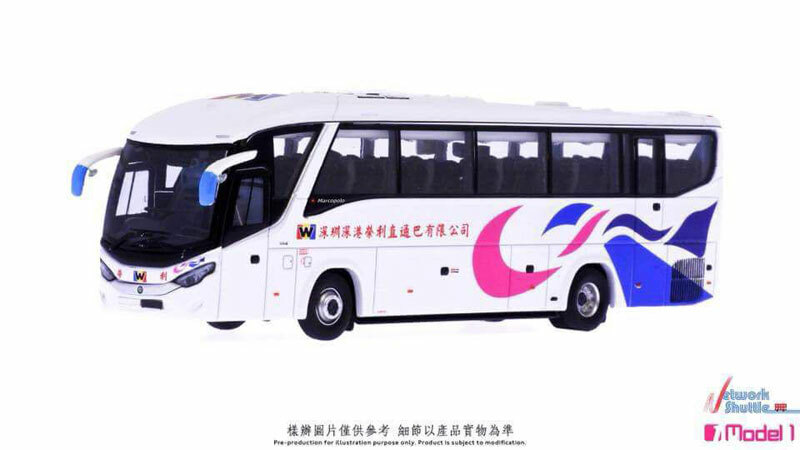 P&T Diecast has announced two new models, again representing China Motor Bus DMS types, but these feature the narrow entrance. 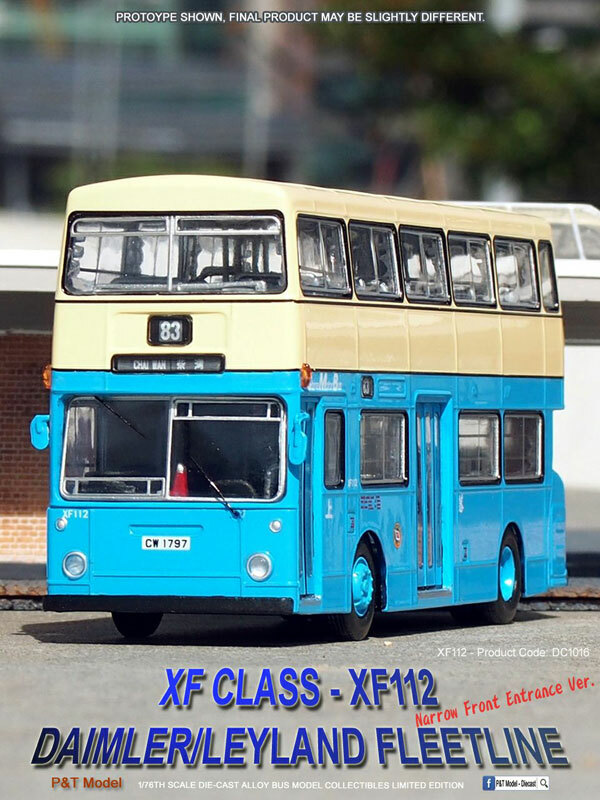 XF112 on route 83 to Chai Wan (DC1016) and XF169 on route 5A to Happy Valley (DC1017). My thanks to Bobby Liu for sending me the above photographs of New World First Bus route 15 buses, both taken at the same location, but with eight years between them! Larger images are 'clickable'. 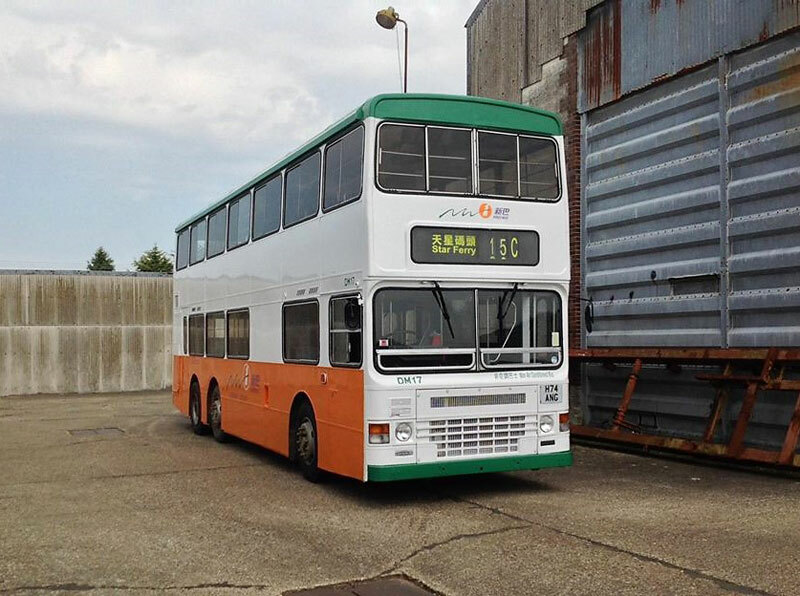 Those of you who use Facebook may want to take a look at Matthew Chung's recently published page entitled 'HongKong BUStuff' which introduces his artwork of Hong Kong Bus Models in 80 and 90s - just follow this link. 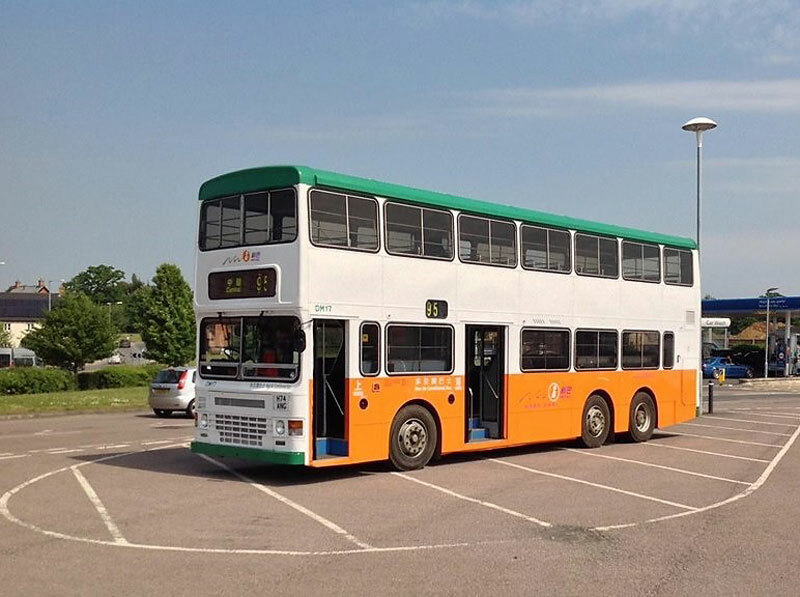 Meanwhile, back in Norwich, DM17 took to the streets today for a mini tour, initially displaying route 15C! My thanks to Keith Dickerson, owner of DM17, for allowing me to share the above photographs. Congratulations to Steph and Jon on the birth today of Emily Rae, our second granddaughter and sister to Sophie Rose. 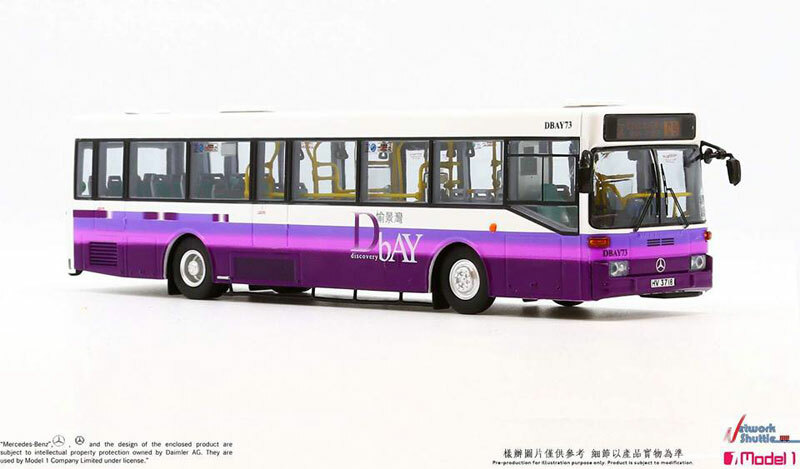 Model 1 are to issue two versions of a Discovery Bay liveried Hispano Carrocera bodied Mercedes-Benz 0405. DBAY73 (HV 3718) is featured in its final purple livery (63142) and HKR120 (GZ 8711) carries an earlier white/green livery (63141). This 12 metre ADL 'facelift' Enviro500 is set for release in Hong Kong tomorrow - a new page has now been added (KMB2018066). Every so often I come across a photograph of a bus where the background is, to me, as fascinating as the bus itself! 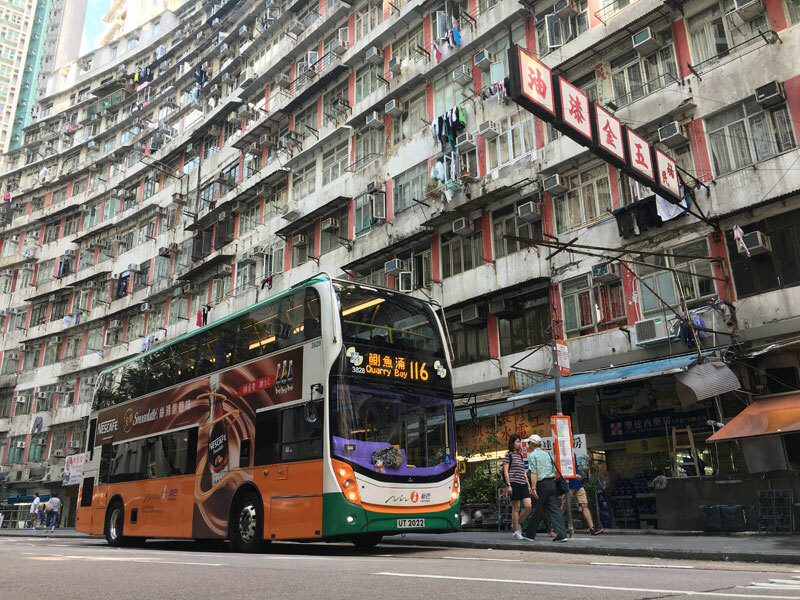 My thanks therefore to Dennis Leung for allowing me to share his superb photograph of New World First Bus 3828, a lowheight Enviro400, at Quarry Bay Bus Terminus. Just 'click' on the above for a larger image. 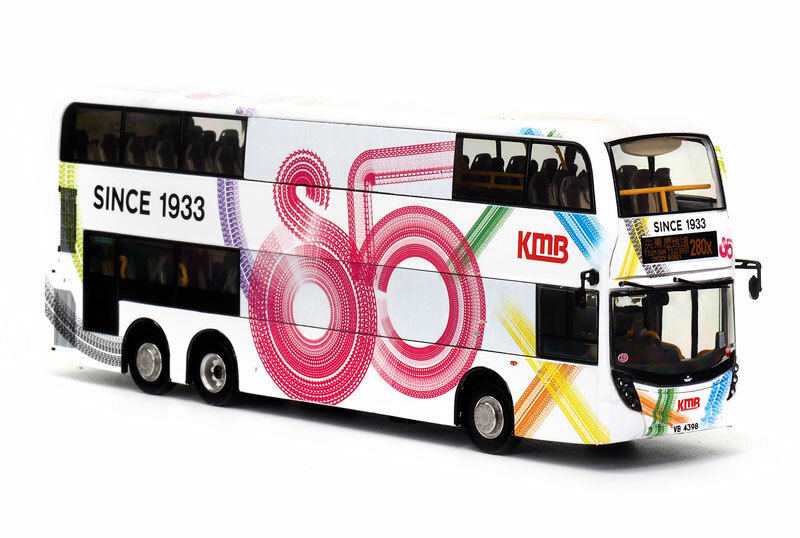 Further details of the champagne liveried KMB 'facelift' Enviro500 have now been received - it features ATENU1231 (UU 2733) on route 613 to On Tai (West) (KMB2018066). Set for release in Hong Kong tomorrow are the two above models. 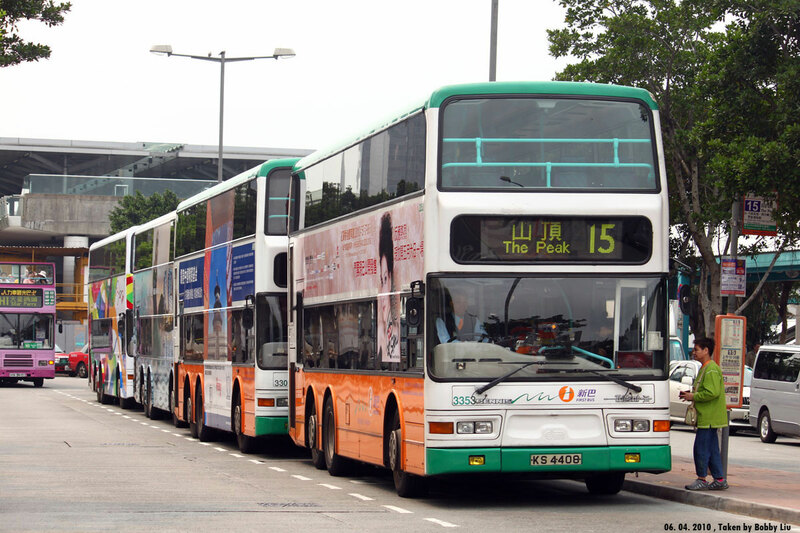 The Long Win liveried 12.8 metre ADL 'facelift' Enviro500 features 1526 (UF 5398) on route A43P to Airport (1,200 pieces) (KMB-M-2017052) whilst the champagne liveried Kowloon Motor Bus ADL Enviro500NG, ATENU2 (SA 2959), is on route 58X to Tuen Mun (Leung King Estate) (800 pieces) (KMB-M-2017074). 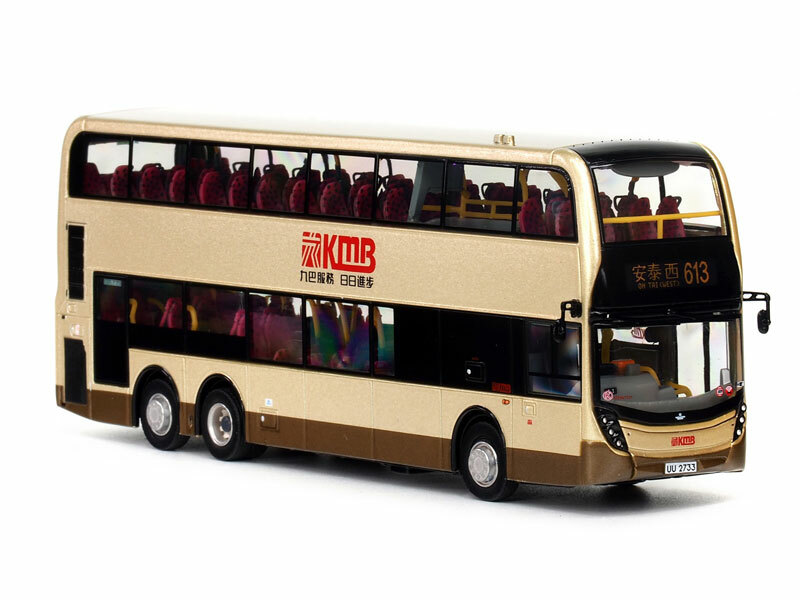 A further Kowloon Motor Bus release is expected shortly, this being a champagne liveried 12-metre ADL 'facelift' Enviro500 on route 613 - this is limited to 750 pieces but no further details are known yet. Park Island Transport has recently taken delivery of two ADL Enviro200s - further details have now been added to the section of the site. Full details of the two recently announced models are as follows :- the Long Win liveried 12.8 metre ADL 'facelift' Enviro500 features 1526 (UF 5398) on route A43P to Airport (1,200 pieces) (KMB-M-2017052) whilst the champagne liveried Kowloon Motor Bus ADL Enviro500NG, ATENU2 (SA 2959), is on route 58X to Tuen Mun (Leung King Estate) (800 pieces) (KMB-M-2017074). 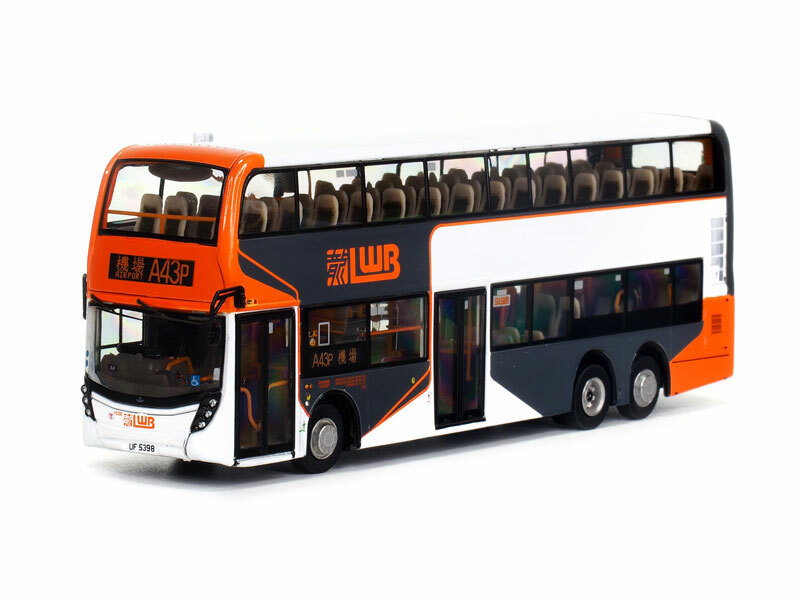 Further to yesterdays news, I can now confirm the destinations for these two releases - A43P is Airport and 58X is Tuen Mun (Leung King Estate). 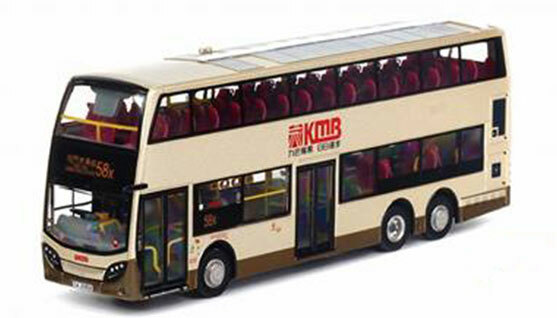 Two new models have today been announced by Kowloon Motor Bus. The first is a 12.8 metre ADL 'facelift' Enviro500 in Long Win livery on route A43P (1,000 pieces) whilst the second is champagne liveried ADL Enviro500 ATENU2 (with solar panels on the roof) on route 58X (800 pieces). No other details are presently known. 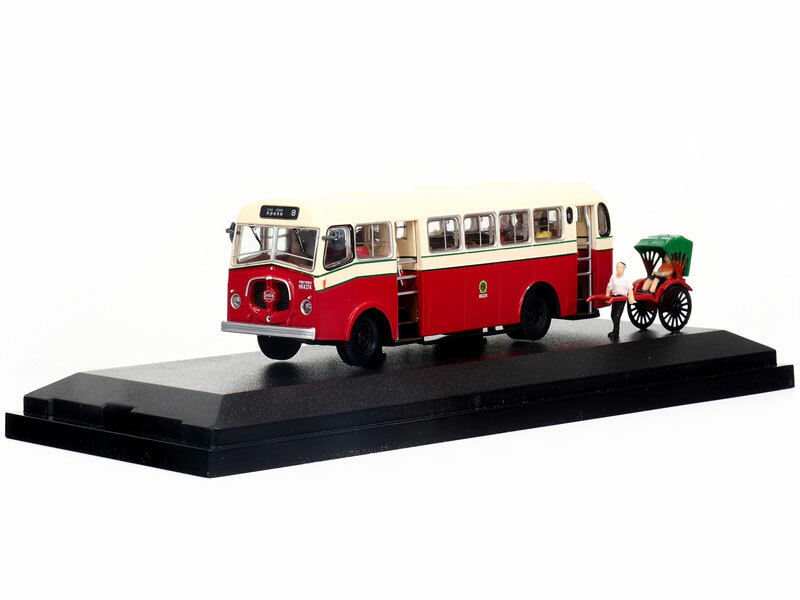 Photograph courtesy and copyright of Buses Model Co. 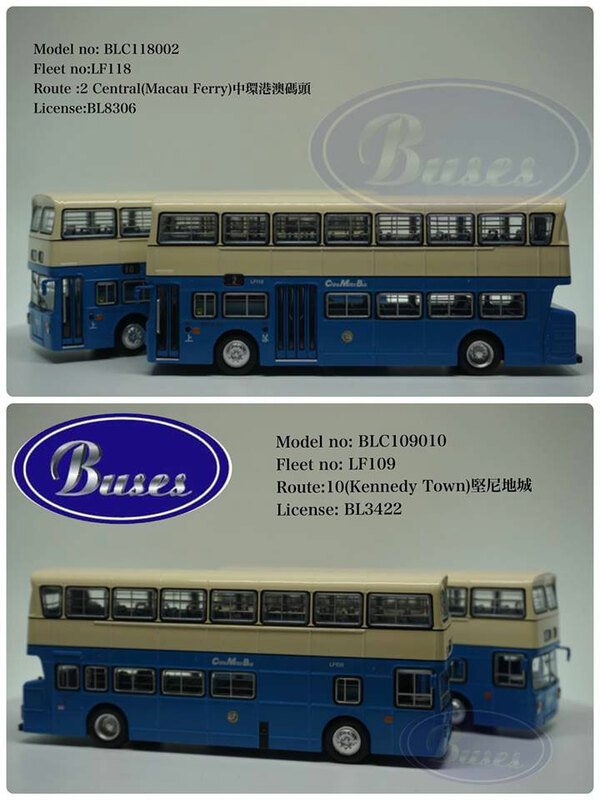 Buses Model Co. are to release two further versions of its China Motor Bus Alexander bodied Daimler Fleetline casting, these being LF118 (BL8306) on route 2 to Central (Macau Ferry) (BLC118002) and LF109 (BL3422) on route 10 to Kennedy Town (BLC109010). 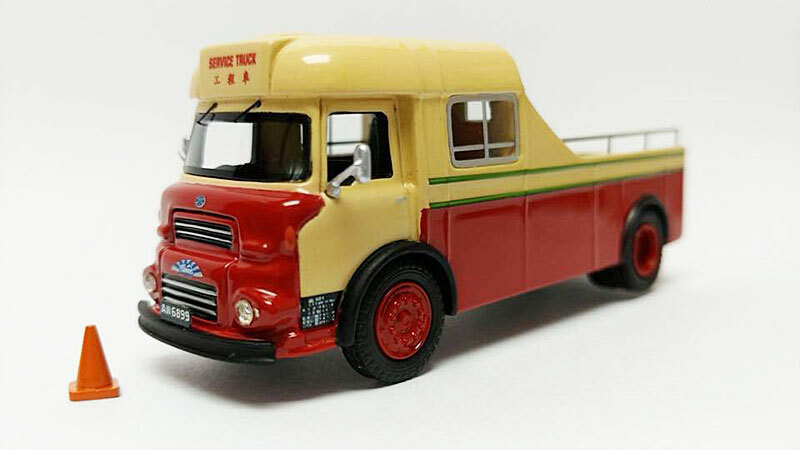 APEC are set to release this resin model of a Kowloon Motor Bus Albion Chieftan (55901). No other details are presently known. 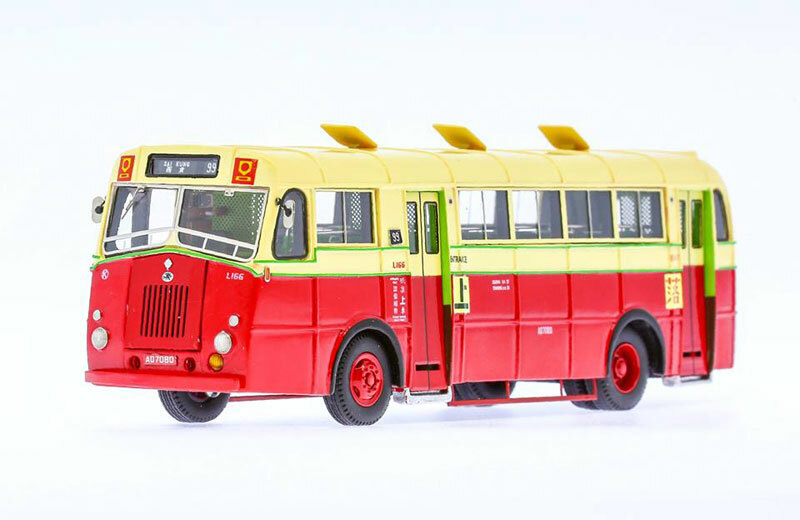 Released in Hong Kong today is this resin Kowloon Motor Bus Albion Victor VT23L from AK Classic (AK3502). 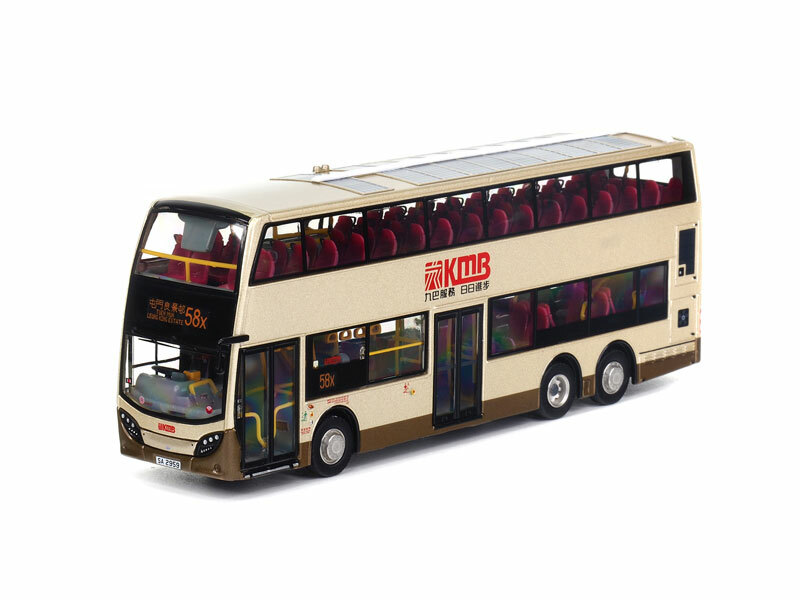 It features L166 (AD 7080) on route 99 to Sai Kung and is limited to 120 pieces. Model 1 has confirmed it will issue a model of a Scania K360iB4x2 in the colours of Shum Kong Wing Lee, a cross border coach company (63701). It is expected to be released in June. 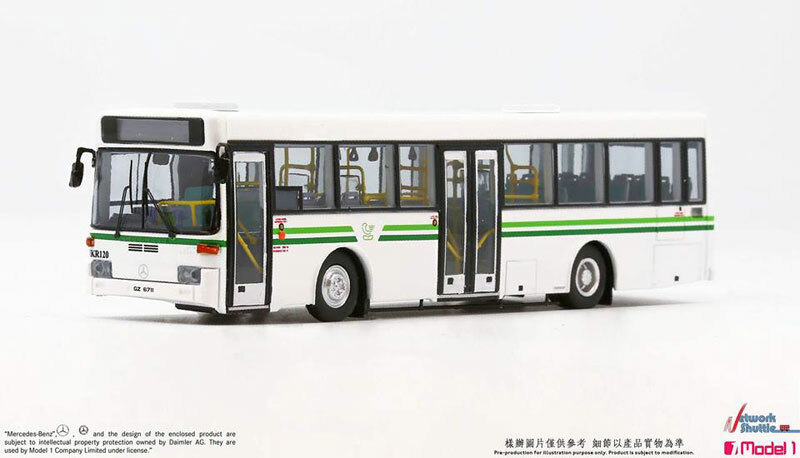 Two Kowloon Motor Bus models are set for release in Hong Kong tomorrow - Caetano bodied Scania K230UD ASB15 (NV 6395) on route 7M to Lok Fu, which is limited to 700 pieces (KMB2018047) and Seddon Mk 17 (HK 4374) on route 8 to Star Ferry , which is limited to 1,000 pieces (KMB-M-2017076). New pages are in the process of being added. 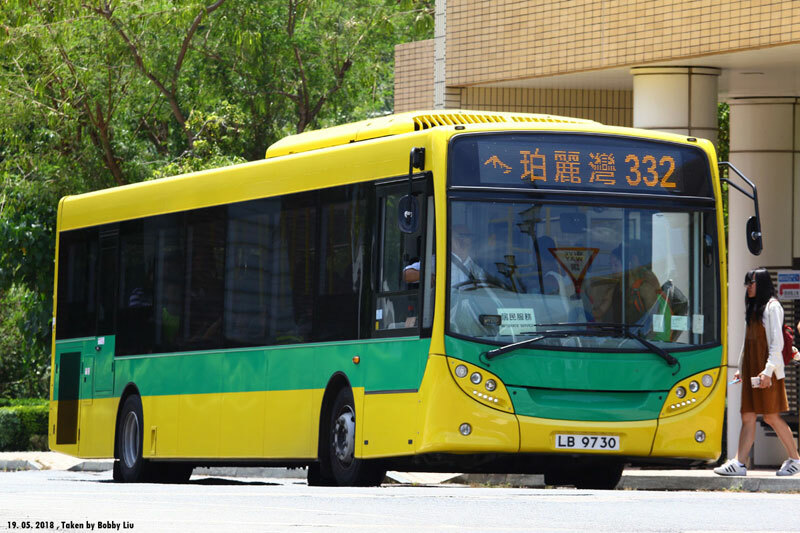 The three remaining 11.3 metre Citybus Wrights Gemini 2 bodied Volvo B9TLs were released in Hong Kong today, namely 63606, 63609 and 63611. 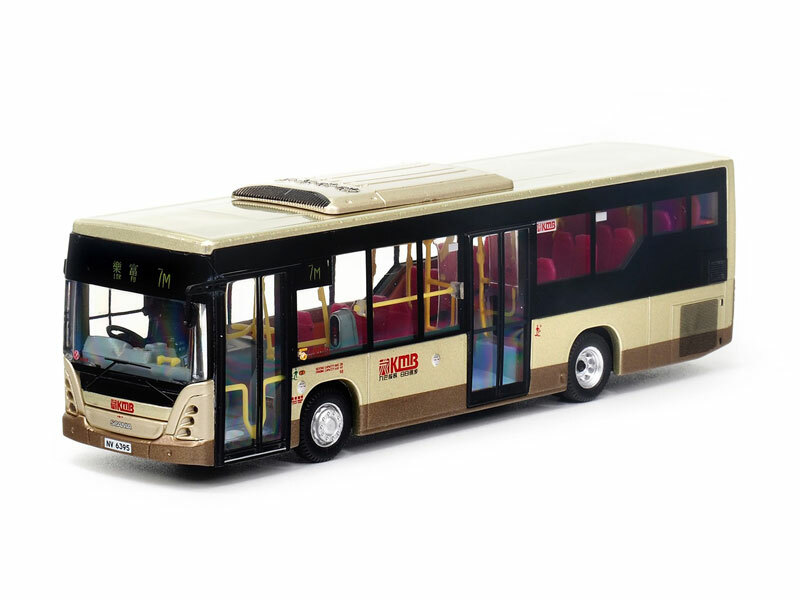 I believe two KMB liveried Neoplan Centroliners are set for release in June, these being from a new manufacturer, Cen Model. One will feature AP82 (JV6680) on route 58M to Leung King Estate (1,500 pieces). 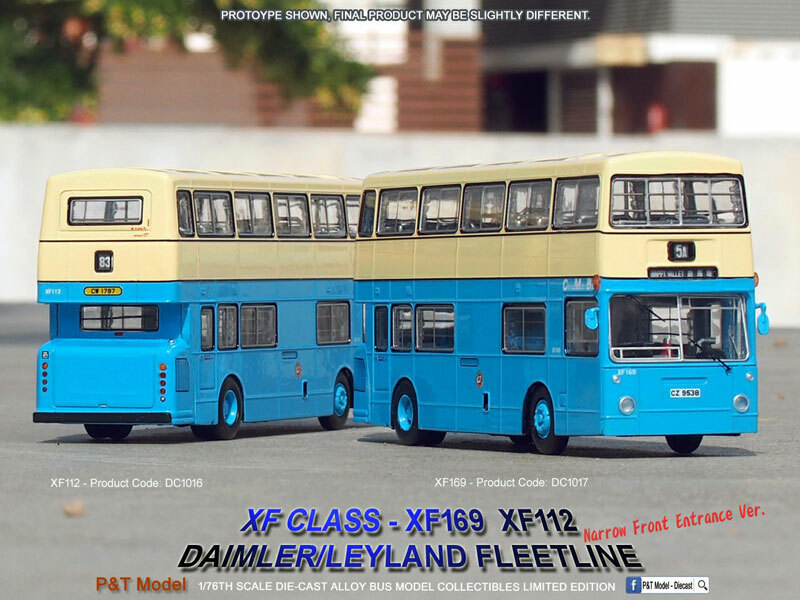 TTC Diecast, a UK retailer of model railways and buses based in Derby, has announced it has entered into a partnership with Buses Model Co. which will see the latters' current range of models, along with new releases, being available direct from TTC. The price shown on their website for all the current models is £42.50 plus postage and packing. 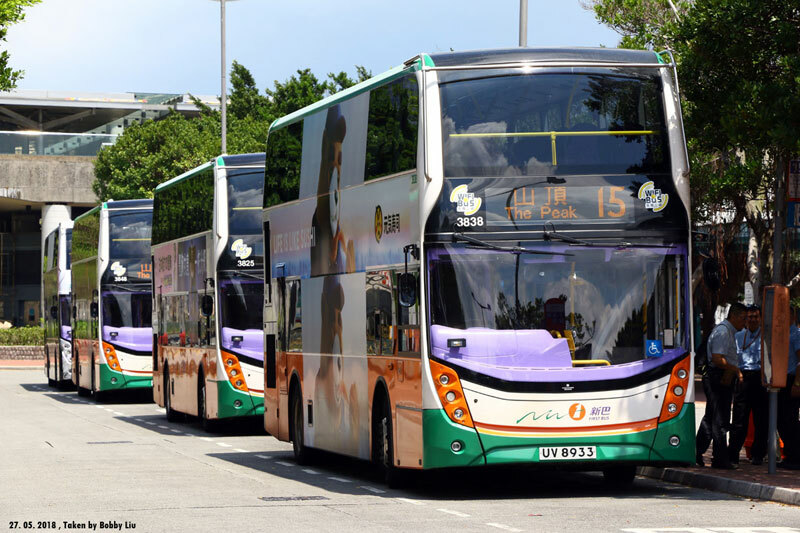 Set for release in Hong Kong tomorrow is the 85th Anniversary ADL 'facelift' Enviro500 and a new page with further photographs have now been added (KMB2018008).